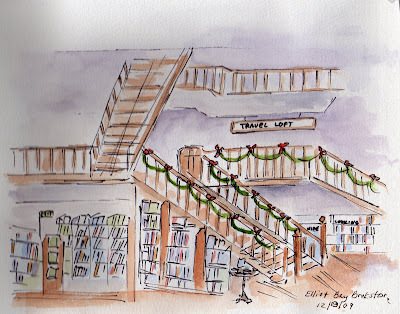 Urban Sketchers Seattle: Books! Books! Books! I was a bit overwhelmed by the details!